Are you looking for a Marriage Retreat BC - Washington Border? The Marriage Retreats BC we offer right across the border from Vancouver in Blaine Washington or soon Port Roberts, make it easy for you to receive intensive help for your marriage in either the Gottman Method or Emotionally Focused Couples Therapy. If you live in BC consider taking a short trip to experience the benefits of working with two of our 23 Team members here at Couples Therapy Inc. We're an international organization with clinicians all over the USA, San Juan, Ireland, Australia and South Africa. Why Cross the Border to have a Marriage Retreat BC in the USA? Both of our clinicians practicing BC Marriage retreats have over 30 years of clinician experience helping couples. And our organization is devoted to both Couples Retreats and Online Couples Therapy. Jennifer Sue Taylor is an advanced practitioner of Emotionally-Focused Couples therapy. Dr. Michael McNulty is a Senior Master Trainer for the Gottman Institute, the premier organization training couples therapists around the world. He's also been practicing for over 30 years. Marriage Retreat BC - Washington Border is a trip well worth taking. Prior to coming in, you will complete an online assessment that includes not only a full Gottman Assessment, but many other instruments. It's so complete in fact, that we call it "The BIG BIG Book of Relationships." Each of you complete it separately without discussing your answers. Your BIG BIG Book is studied and scored prior to your first Marriage Retreat meeting. We hold our Marriage Retreats primarily on the weekends, Friday night, and all day Saturday and Sunday, but midweeks are also available. Intensives are all we do, and we have a Team of support staff to help you determine if a Marriage Retreat BC (across the border) is right for you, and help you interview and select the right professional. We also provide information on accommodations to ease the hassle of arrangements. What are these Marriage Retreats on the BC - Washington Border Like? The first evening of the intensive is much like a classic Gottman Method Couples Therapy assessment: Our first two hours are spent exploring the extent to which you understand your partner's issues, and your early history Gottman calls "The Oral History." Saturday morning we start by taping the both of you discussing an area of contention. That lasts 10 minutes, and helps us to plan our interventions. 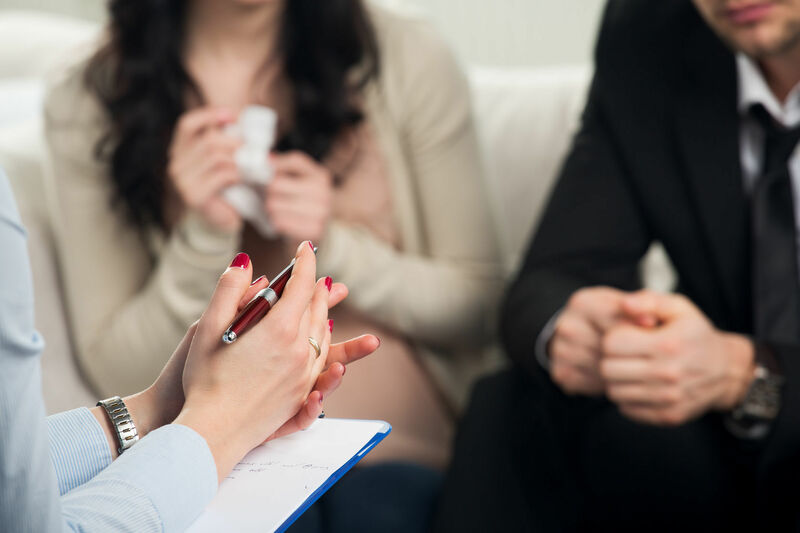 We next continue with individual meetings so that you'll have a chance to express yourself directly to your couples therapist. Returning from lunch is a feedback and goal-setting session where your couples therapist explains their understanding of the dynamics that are creating the greatest pain, and where the focus of the marriage retreat should be placed. Assuming you agree with the therapist's assessment, the treatment portion of your Marriage Retreat begins immediately afterward. More on the Outline of These Assessments. Issues we need to focus on in this Couples Retreat. The videotape we've done of your communication patterns. We invite your own insights and feedback as well. At this point, you have just completed one of the most thorough marital diagnostic assessments available today. "I like working with couples who are trying to establish trust and security after a relationship injury. I have particular skills in working with couples experiencing the aftermath of an affair. I lean into these types of problems as a clinician, not move away from them. I believe couples can heal from an affair and I am optimistic that they can make progress and heal their broken hearts. I offer them hope." Living on the Canadian border, she sees quite a few couples who travel from all over Vancouver, including Westmount, Rosemary Heights, Shaughnessy Heights, Kerrisdale, and Victoria. They also travel from Whistler and Okanagan Valley, BC. and all over Canada and the USA, as Jennifer is 30 minutes away from Vancouver Airport. Licensed in four states in the USA: Washington, Utah, Colorado and Idaho. Licensed in Illinois. Coming soon: Washington. Dr. McNulty's Gottman Marriage Retreat is held in Chicago, Illinois and soon Port Roberts, Washington. Research has demonstrated that a science approach is 70-92% effective in helping couples. These retreats equal almost 6 months of conventional therapy. Begin with a weekend. Follow up online or continue with your local therapist. We provide the "jump start" you need for focused, effective work. Ways to meet? You come to us. We meet online. Or we even come to you with our team of "Fly Me" therapists.